The Party Centre has been serving the GTA for over 30 years. In 1985, we started off as a family run business and continue to grow as one. We are a dynamic organization equipped with everything you need for producing fabulous events from table settings to marquee tents; from concessions machines to party games; from wedding decor to show services. We aim to continue to supply our customers with good quality, up-to-date products keeping an eye on, and staying abreast with changing trends. To view our complete product line, please visit the Rental Products section. You can also visit our newly renovated showroom which is re-decorated monthly to showcase our various linens, dishes and other event equipment. 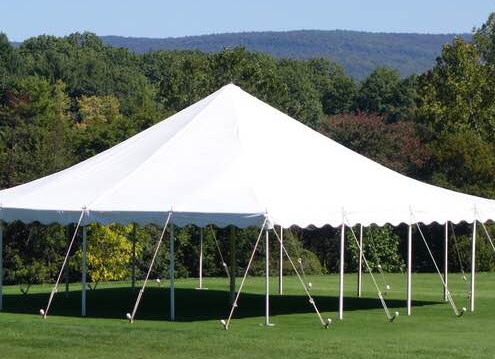 Come in and discuss what kind of tent is best for your event and be inspired by some party decor ideas. Our mission is to simplify your event planning process. An event is a time for friends, family, colleagues and communities to come together. We at The Party Centre recognize how important it is for you to make your event a perfect one. Whether you are planning a simple intimate gathering for a few or organizing a large festival for thousands, our staff, inventory and decades of industry experience will help make your ideal event, a reality! From time to time, we also run promotions so do sign up with us so we can keep you informed about any ongoing promotions.